Top standards and high quality services. Bruxism is the term for excessive grinding of the teeth or clenching of the jaw. Healthy habits start from an early age. Сrown is a gold or porcelain restoration that is designed to completely encase a single tooth. Open Days Monday - Saturday. Dr. Min-Hao Chang obtained his Doctor of Dental Surgery degree from the University of Melbourne. He is born in Taiwan, grew up in Canada, and now practicing dentistry in Kooweerup. His treatment philosophy is centred around prevention and minimal intervention dentistry. He places great focus on professional development and continual education, allowing him to provide the latest evidence-based dental treatment for his patients. Min’s interests outside of dentistry includes playing video games on his free time, as well as following professional sports league such as the NBA & MLB. 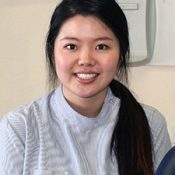 Dr Amy Zhang completed her Bachelor of Health Sciences in Dentistry/Master of Dentistry at La Trobe University, Bendigo. Having spent three years treating patients in rural/regional Victoria, she has thoroughly enjoyed all aspects of general dentistry. Amy has a passion to provide evidence-based dentistry and education to all her patients in a friendly and relaxed environment, and involves patients in their treatment plan to ensure the best of care. She is committed to all aspects of continuing education not limited to Dentistry, but in all aspects of life. Outside of dentistry, you’ll often find Amy spending time with family and friends at the newest cafes and restaurants around. Dr. William Chai, BDSc (Hons) Melb. 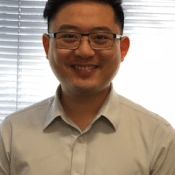 After graduating from the University of Melbourne in 1999 with honours, Dr William Chai has worked at Kooweerup Dental for nearly twenty years. He has extensive clinical experience in delivering a wide range of general and specialised dental treatments. 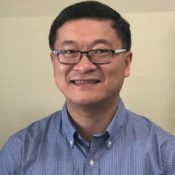 In particular, Dr Chai takes a special interest in the fields of implants, full mouth rehabilitation and prosthodontics. Over the years, Dr Chai has attended many continuing educational courses – a testament to his interest in keeping abreast with the latest new dental techniques and his ongoing commitment for better patient care. Other than English, Dr Chai is also fluent in Mandarin. In his spare time, he enjoys travelling and spending time with his family and two growing boys. Our family dental practice has been operating in Koo Wee Rup for over twenty years. We are a community focused dental practice that only employs committed, quality dentists. We have many clients that were previously looking for a dentist in Pakenham, Cardinia or Rythdale but now travel 15 minutes because they trust the level of service and care we provide. For your convenience, we accept major credit cards (Mastercard / Visa), EFTPOS and cash. On-the-spot Health Insurance claims from the major providers is available through our HICAPs terminal. Full Payment is required on the day of treatment. Important: The information contained in this website is for general information purposes only. The information is provided by Kooweerup Dental Surgery and while we endeavour to keep the information up to date and correct, we make no representations or warranties of any kind, The content of the pages of this website is subject to change without notice.